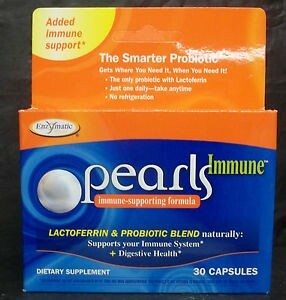 Immune Strengthening Formula Pearls Immune is the only probiotic supplement with Activ-Ferrin™. 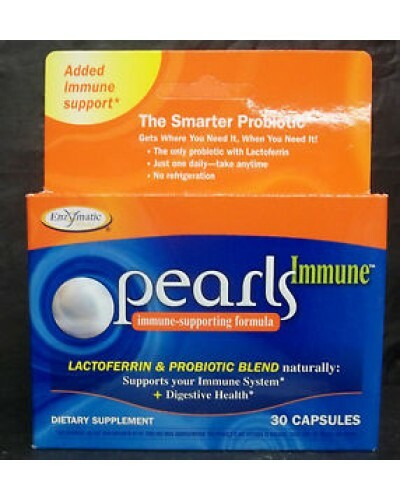 This unique form of lactoferrin helps strengthen your natural defenses. 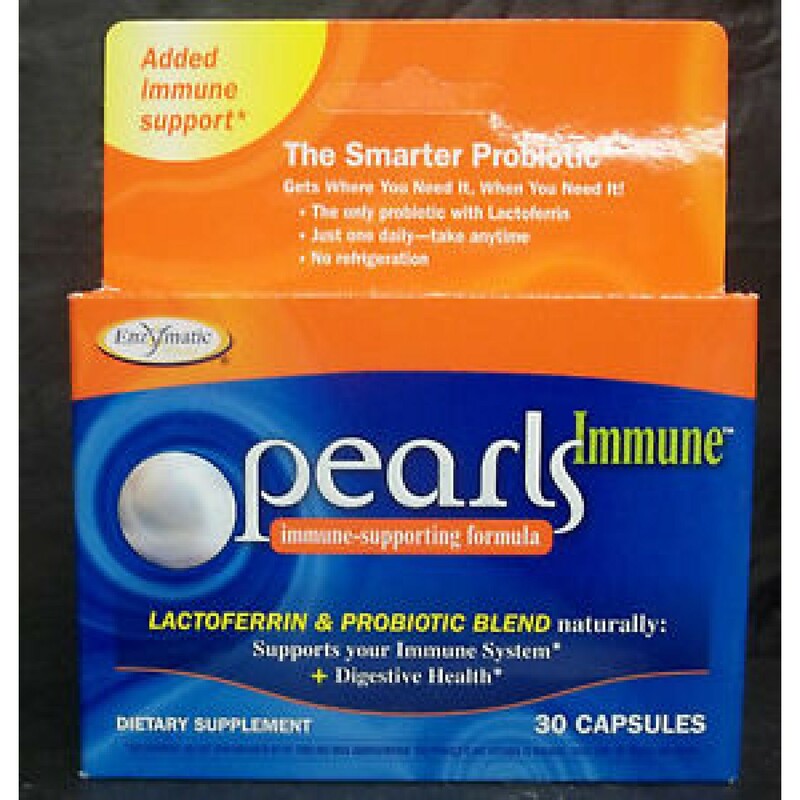 Combined with the superior probiotics that help regulate your digestive tract's immune system, Pearls Immune provides dual action support. Free Of Artificial coloring, artificial flavoring, corn, preservatives, salt, sugar, wheat and yeast. Other Ingredients: Vegetable oil (palm and coconut), gelatin, vegetable glyceirn, soy lecithin, and pectin.